Macquarie University alumna Dr Abigail Allwood has become the first woman – and the first Australian to lead a NASA team searching for signs of life on Mars. Dr Allwood’s PhD, which she completed at Macquarie in 2006, examined ancient evidence of life on Earth and how it could be relevant to the search for life on Mars. 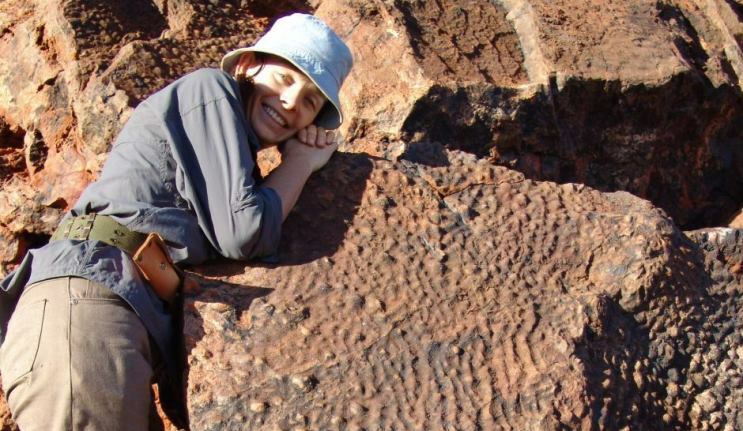 Her discovery of some of the oldest evidence of life on Earth in WA’s Pilbara region led her to NASA’s Mars program at the Jet Propulsion Laboratory in Pasadena, California. Her team will investigate the chemistry of rocks on the planet and collect samples for possible transport to Earth on future Mars missions. The 2020 rover will be based on the highly successful Curiosity, which just completed its second Earth year on Mars (a Mars year is almost twice as long as an Earth year), however, it will carry more sophisticated hardware as well as new instruments for geological surveys. Dr Allwood’s team will design and operate a tool known as a planetary instrument for X-ray lithochemistry, or PIXL. It will provide more detailed detection and analysis of chemical elements on Mars than ever before. “Part of our objective with 2020 is to very carefully understand the geology and identify the best samples to bring back to give us the best chance of identifying past life if it existed,” Dr Allwood said in an interview with the ABC. What an inspiration! My 7 year old granddaughter has always been interested in rocks of all kinds and when asked what she would like to be when she grows up she answers “A geologist”. We have watched with wonder and encouraged her with rock collection kit from Australian Geographic etc but Dr Allwood’s career opens up wonderful possibilities of where her natural curiosity can lead. Thank you Dr Allwood and your team.